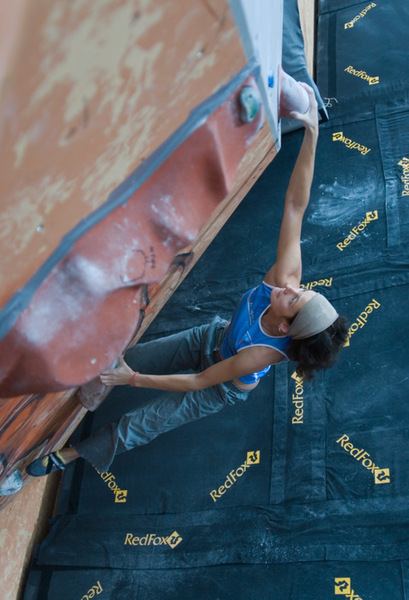 The best climbers in the world from more than 40 European, Asian and American countries will take part in high profile competitions in the disciplines of bouldering and speed. Location of competitions. How to get to? Specifically for the competitions an impressive complex of climbing walls will be built between pavilion N1 and “Druzhba narodov” fountain in VVC ("All-Russia Exhibition Centre"). The maximum height of the climbing walls will be 15 meters and the whole width of the artificial rock will be 36 meters. The walls will be placed on a special stage and covered with a roof in case of bad weather. The scene will be equipped with sound and lighting equipment which will satisfy all requirements for holding competitions and concerts. 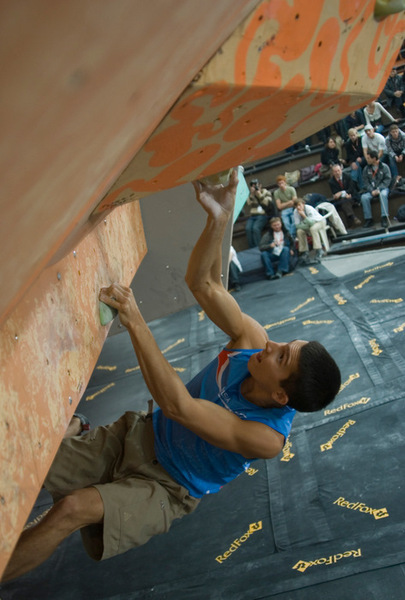 Bouldering and speed are the most popular disciplines in climbing. Bouldering Bouldering is the most exciting and challenging discipline. Athletes have to climb a number of short but very difficult routes, using not only their physical abilities but also intellectual ones. 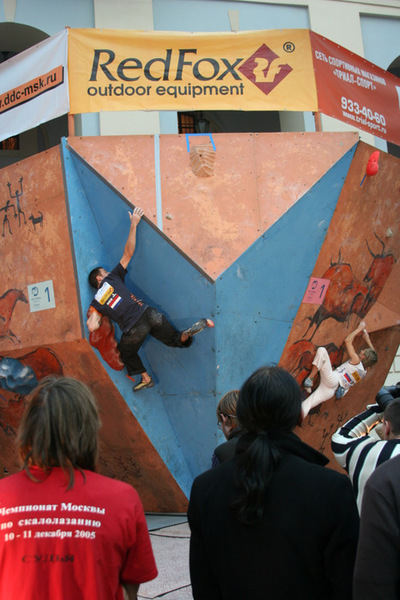 There is a limited time to climb each route but athletes can make as many attempts as they want. 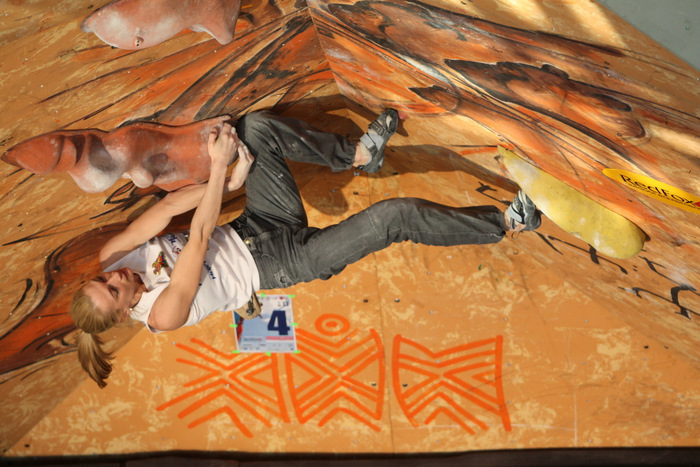 To win it is necessary to climb the maximum number of routes with minimum attempts. 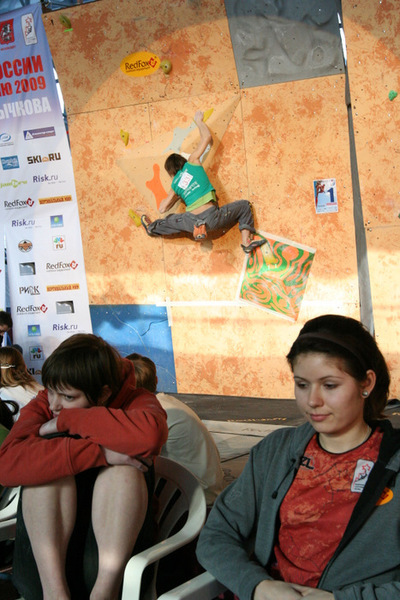 Climbing without safety equipment, unexpected falls* make bouldering competitions more challenging. 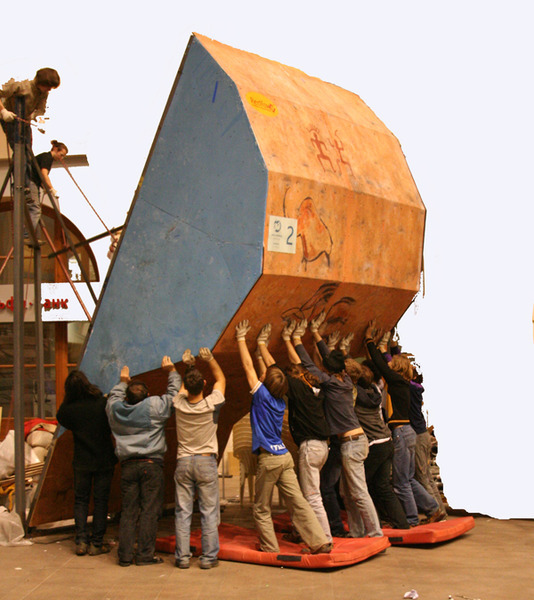 Height limitation (till 4.5m) and gymnastic mats provide the safety* in bouldering. Speed is one of the most spectacular disciplines in climbing. 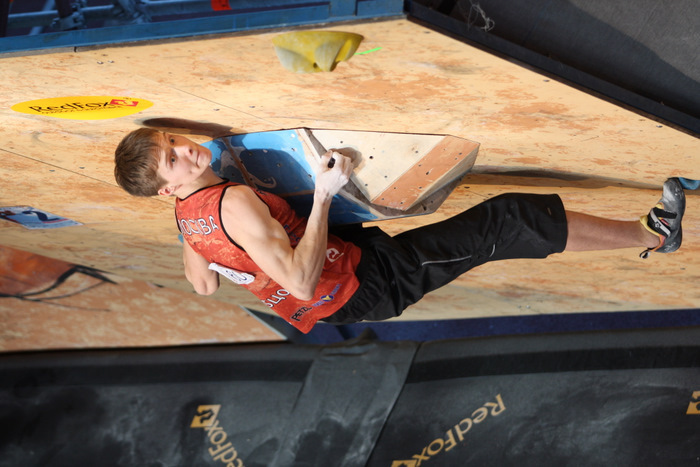 Athletes have to climb two routes with the height of four-storey building at a maximum speed. 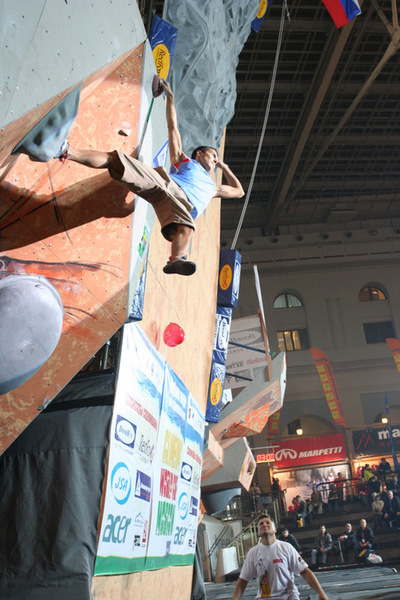 It takes the best climbers less than 10 seconds to climb a 14 -meter wall! The speed final is conducted according to the Olympic system of knockout in pair races. Passions run high, everything happens so fast that there is no time to correct mistakes. Sportsmen have to be extremely concentrated and accurate and use all their experience to win. 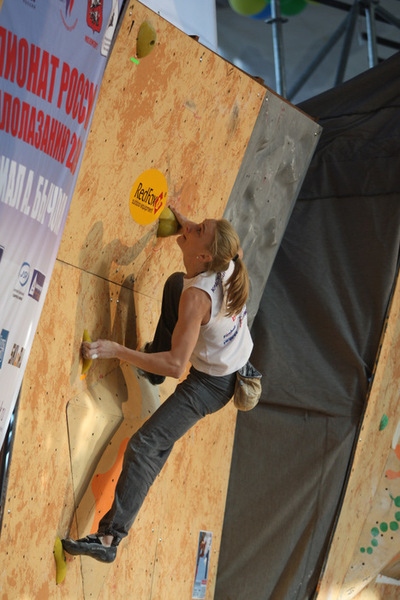 More than 150 climbers from more than 40 countries of Europe, Asia and America will take part in the competitions. Among them: leaders of world ranking, World and Europe champions, World cup holders and national championships winners. Who will be a winner? ТThe exact List of Applications after registration closing (18.00, 10 of June, 2010). Moscow, VVC ("All-Russia Exhibition Centre”), square between pavilion N1 and "Druzhba narodov" fountain. 950 meters from "VDNH" metro station, Kaluzhsko-Rizhskaia line. 550 meters from parking lot on Sergey Ezenshtain streat. 460 meters from the main VVC entrance. Go to "VDNH" metro station, Kaluzhsko-Rizhskaia line - first carriage from the center. Leave the metro, turn left, go 500 m towards the main VVC entrance. Than straight ahead to the square between exhibition pavilion N1 and "Druzhba narodov" fountain. You can park: next to the main entrance, in a parking lot (or next to it) on Sergey Ezenshtain streat, in parking lots next to the entrances: Severniy 1, Severniy 2, Severniy 3, Yuzhniy. "Is it important for sportsmen to hear fans’ cheers?" 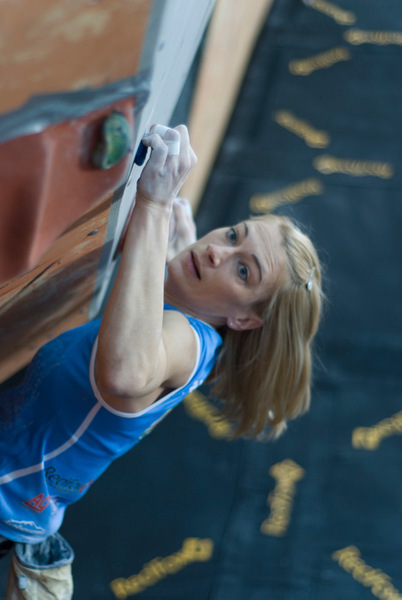 Alexandra Balakireva, winner of World Cup lap in 2009, answered the question: "If it were not for fans’ cheers, why would we climb? Silence is not a good atmosphere for competitions. As for me, fans’ support helps me very much …." The World Cup will be interactive – the spectators will be able not only to watch the competitions but to try their own skills on a wall built especially for them. With the help of experienced trainers both adults and children will be able to climb. They will be able to communicate with trainers, to learn a lot about climbing clubs and join some of them. During The World Cup Mass Media representatives will be able to have all necessary information and help in the Press-center. For accreditation and additional information please mail at: pressa(dog)c-f-r.ru, call: +7-916-304-8131, +7-901-523-8375.